Apple has officially releases the iOS 6.1.1 Beta IPSW Firmwares for iPhone 5, iPhone 4S, iPhone 3GS, iPad 4G, iPad 3G, iPad 2G, iPad Mini, iPod 5G Touch and iPod 4G Touch, so if you have recently updated or upgraded your old iOS Firmwares to the latest iOS 6.1.1 Beta Firmwares than you would need to have a Jailbreak for iOS 6.1.1 Beta Firmwares for iPhone, iPad and iPod. So in this post we are sharing the Tutorial on How to Unlock and Jailbreak iOS 6.1.1 Beta Firmwares On iPhone 4, iPhone 3GS & iPod Touch 4G A4 powered-chipset devices Using Redsn0w / Evasi0n Jailbreak Tools. You also need to know that it’s a Semi Un-Tethered Jailbreak of iOS 6.1.1 Beta Firmware with some minor mixing of Untethered Jailbreak for iOS 6.1.1 Beta Firmware, we will try to change the iOS version number in SystemVersion.plist to trick Cydia’s iOS 6+ untether files to offer an unmanned break on 6.1.1. So let's start the Tutorial and Guide to Unlock and Jailbreak iOS 6.1.1 Beta Tethered On iPhone 4, iPhone 3GS and iPod Touch 4G Using Redsn0w / Evasi0n Jailbreak Tools. How to Unlock & Jailbreak Apple iOS 6.1.1 Beta Using Redsn0w/Evasi0n Tool? First download software tool packages provided in above links and then follow the simple steps and guide below to Jailbreak and Unlock Apple iOS 6.1.1 Beta Firmware running on iPhone 4, iPhone 3GS and iPod Touch 4G. Step 1: Connect your A4-powered iOS device to your computer. Step 2: Open Redsn0w, point it to the iOS 6.0 IPSW by going to ‘Extras’ and then selecting ‘Select IPSW’, and then hit ‘Jailbreak’ from the main window. Step 3: Once the process is complete, select the iOS 6.0 IPSW once more, and select ‘Just Boot’. Your iOS device is now jailbroken tethered and booted up on iOS 6.1.1 beta 1. 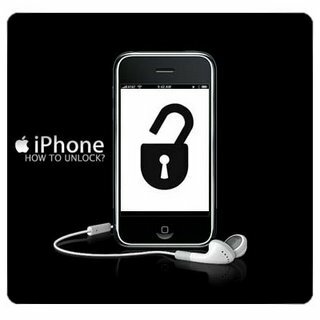 How to Unlock and Jailbreak Untethered Apple iOS 6.1.1 Beta Firmware? Step 4: If you haven’t already, install OpenSSH and iFile from Cydia, and navigate to System/Library/CoreServices. Step 5: Scroll down to the bottom, tap on SystemVersion.plist, and open with text viewer. Step 6: In the .plist, look at the information at the bottom of the page in between the <string> </string> tags. It should say '6.1.1′. You’ll want to tap the Edit button in the top left-hand corner, and change that string to '6.1′. Then, click Save, located in the top right-hand corner. Step 7: Navigate to Cydia, locate evasi0n 6.0-6.1 Untether, and install it. After a reboot, you’ll be untethered on iOS 6.1.1 beta 1. Alternatively, you can also install the untether manually using Evasi0n’s .deb file in iFile. Step 8: Once you’re all done, repeat steps 4 through 6 and change the version number back to 6.1.1 from 6.1. Congratulations!! You're Done! !